Fitness299 is a trademark of Fitness299.com and BDF, a California Non-Profit 501 (C) Corporation.. Fitness 299 tm Exercise Series is a set of wellness exercise programs designed for all age groups and fitness conditions. They can be learned quickly and put to regular practice at home or at the office. The elements of our classes came from traditional Chinese and Indian therapeutic breathing, stretching, meditation, Taiji, Wushu, Qigong, and Yoga. Our style is smooth-flowing with an emphasis on mindfulness, precision, and safety. This set of exercises can help improve your health and the well-being of your body and mind. The individual result varies but students generally believe they are healthier, more energetic, and less stressful every day. Apply what you learn here to your other gym exercises, Yoga, Taiji, martial arts, meditation and see significant improvement in your other practices and health. And avoid sports injuries. Students can choose from a selection of classes to suit individual needs. Unlike many group classes, we have a high teacher to student ratio, and our teachers can tailor the exercise to your current need and capability. No one is left behind. Easy exercises for regular people with a busy life. Get fit and achieve amazing results. Live healthier and happier now. If you like our approach, please come and try the classes. Please subscribe to our mailing list to receive an alert on new classes, workshops, and seminars. Some events are free. Relieves Experienced by Some Students. High blood pressure, stress, sleep disorder, back/ shoulder pains, over weight, diabetes, asthma, sleep apnea,allergies, depression, chemotherapy side effects. Fun. Feel good after practice. No pressure. Everyone learns at his or her own pace and from one another. See the front desk for the latest prices. Drop-in pass is $6. Trying out is free. The Science of Meditation – can it really change you? 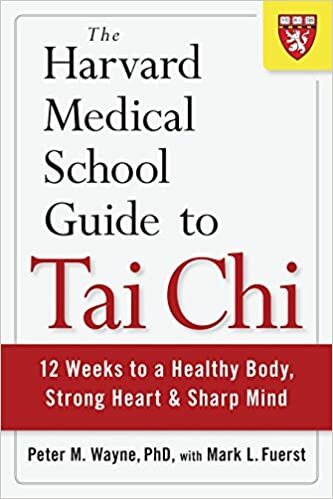 Taij Qi is a simplified version of Chinese Qigong, blending breathing exercises and easy stretching. This class helps students build a solid practice of therapeutic breathing habits that can improve health and vitality. Taiji breathing is rooted in Traditional Chinese Medicine. It rejuvenates internal organs, expands lung capacity, and enhances circulation, immunity, and energy levels. This class builds the foundation skills for Level 1 or 2 meditation. The techniques learned here can be applied to your daily activities at home, work, or during other exercises like Yoga, Taiji, martial arts, wushu, dance, meditation, etc. This class focuses on the internal Qi moment and will introduce movement exercises and meditation to reinforce the core learning. Some traditional Chinese therapeutic movement exercises are used to supplement the sit-down practice. Suitable for all ages and fitness level. Do this class first before you start any Yoga or meditation practice. It will help you learn faster. And get the benefit of Yoga or meditation sooner. This is the best class for those who have not been exercising regularly for years. Do this class first before you start any Yoga practice. It will help you learn faster and avoid injuries. We teach exercises based on balance, breathing, and stretching. It rejuvenates internal organs, expands lung capacity, and enhances circulation, immunity and energy levels. This track focuses on classic Taiji styles (Yang and Chen). You will begin with simple stretching and breathing exercises to create awareness of your body movements and to calm your mind. Through gentle and slow movements of Taiji, you will gain strength, flexibility, and balance. The techniques learned here can be applied to your daily activities at home, work, or during other exercises like Yoga, Taiji, martial arts, wushu, dance, meditation, etc. Suitable for all ages and fitness level. We instill key elements of Zen into the exercises in this class series. We will use a different exercise as a focused practice in the classroom from quarter to quarter. This class focuses on gentle movement and will introduce meditation to reinforce the core learning. Suitable for all ages and fitness level.